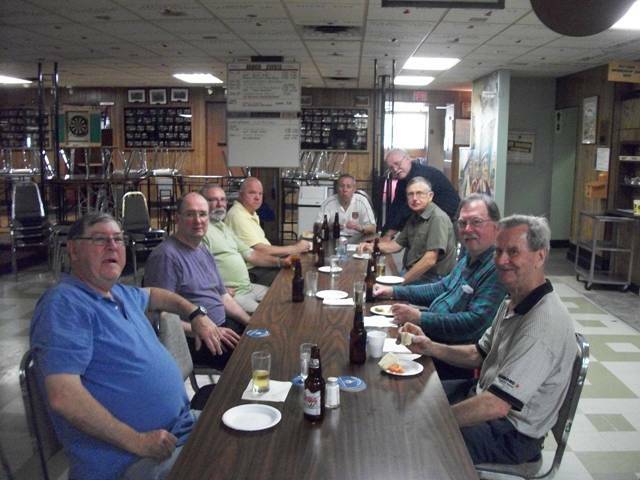 On Sunday, 29th May, 2011, a total of 29 Legion members took part in a work party to ensure that the Branch is up to snuff for the D-Day Parade week. Members of the work party split up into groups and did various tasks around the branch including sweeping the parking lot, checking plants in the front gardens, erecting fencing in the horseshoe pits, cutting down dead branches from trees in the horseshoe pit area, cleaning chairs in branch and doing an inventory of chairs upstairs in the banquet hall. After the work was done, everyone enjoyed a delicious meal brought in by fellow comrade Peter Martin. 1. Work Party members relax and enjoy a meal after cleaning up the Branch. 2. 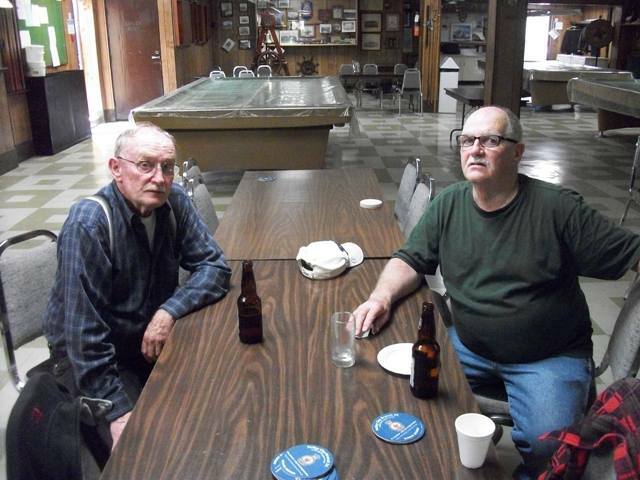 Jim Sherring and Larry O'Connor relax and after cleaning up the Branch. 3. 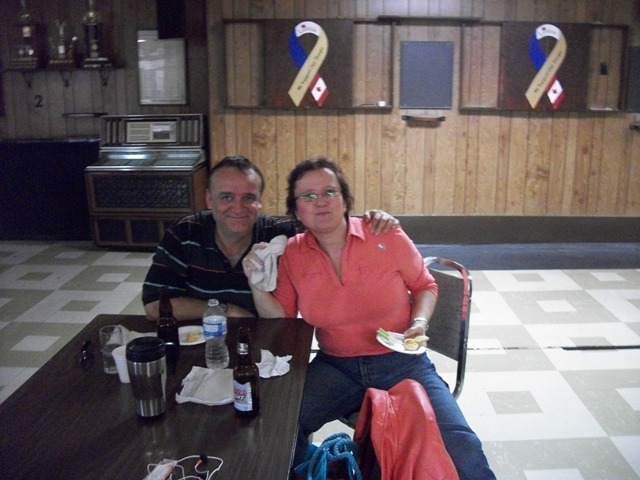 Dave and Marie Burden relax and enjoy a meal after cleaning up the Branch. 4. 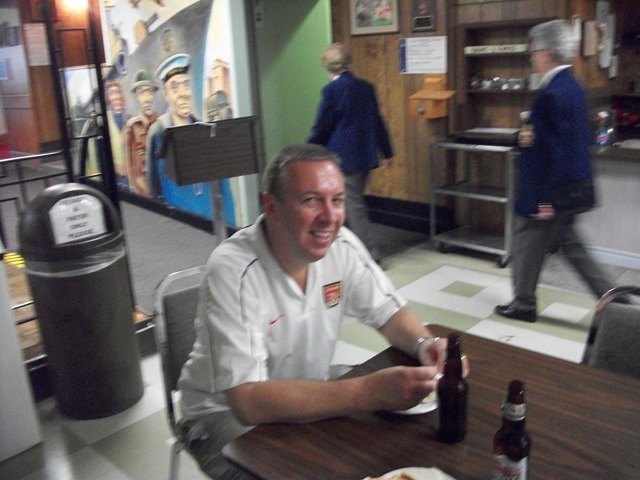 Peter Martin relaxes and enjoys the meal after cleaning up the Branch.